Tomorrow is my first race of the year. I've made a concerted effort to limit my races this year so I decided to start with the inaugural Hoodie Hoo 5k. 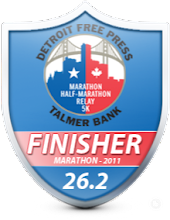 The race will be at Lake St. Clair Metropark and I'm really looking forward to it. 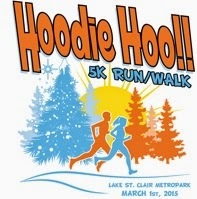 Hoodie Hoo is a race to chase off Winter and welcome Spring - let's hope it works and warms us up in Michigan. There's a building we can hang out in before and after so we don't have to stay out in the cold. It also looks like the weather is going to cooperate and we might miss the snow in the morning. Yeah! If you are interested in joining me, you can still register the morning of the event. The race does not start until 9:30am so you can even sleep in a little! As always, I'll have a full race review with you this coming week. Yesterday I went out to the new Kona Running Company store to run a 5k with the Michigan Running Club Group. I always enjoy getting to run with new people and a new route so this was a great time to do it. I got there a little early so I could take a look around since it was the first time I've been to the store since they opened. Wow! They have a nice selection of shoes and clothing. They also sell my favorite trail shoes - Hoka One One. The wall of shoes! Look at all that color! Before we went out on the run, we got a quick picture of the group with owners, Jill and Alan Whitehead. The course we ran is a 5k course they designed and is actually USATF certified. How crazy is that for a run around their store? I also took a few pictures of the run and, as you can see, it's a run through the neighborhood behind the store. Larry even had a cheer station and water station for us! After we all got back, Kona offered refreshments to the runners and 10% off anything in the store. They also gave away a couple prizes too! We sure felt welcome being there. Another picture after the run! Overall, it was a great day for a run and fun to see some runners I already knew and meet some new people in the Michigan Running Club. Thanks to Kona Running Company for sponsoring our weekend group run! Monday I went on a group run with my running group, Michigan Running Club. 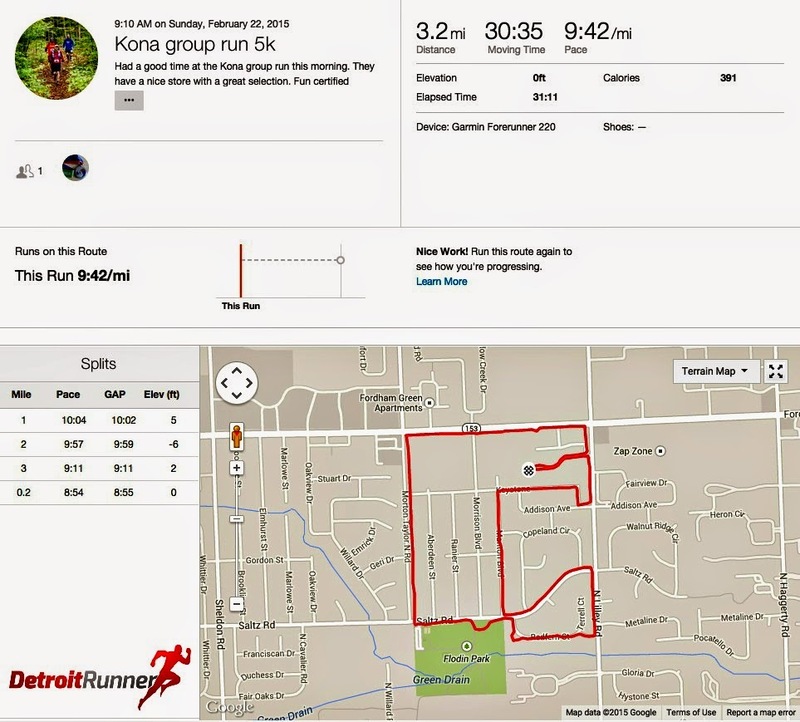 We met up at RUNdetroit to do their Blue loop 3 mile loop and had a great time. Before we left we got a picture of the group. 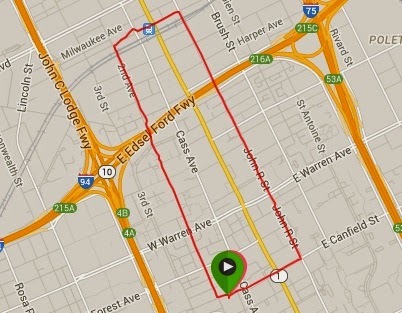 The route took you in a loop with a run through Wayne State University's campus. This is the first time I've ever been on campus. It was really nice! After we made our way through campus we started heading towards the Fisher building(as in Fisher Body). It was lit up nicely and is an awesome building. As we made our way back down John R, we passed the back of the Detroit Institute of Arts. One more turn and we made our way back to Canfield where we past our final destination - Hopcat! 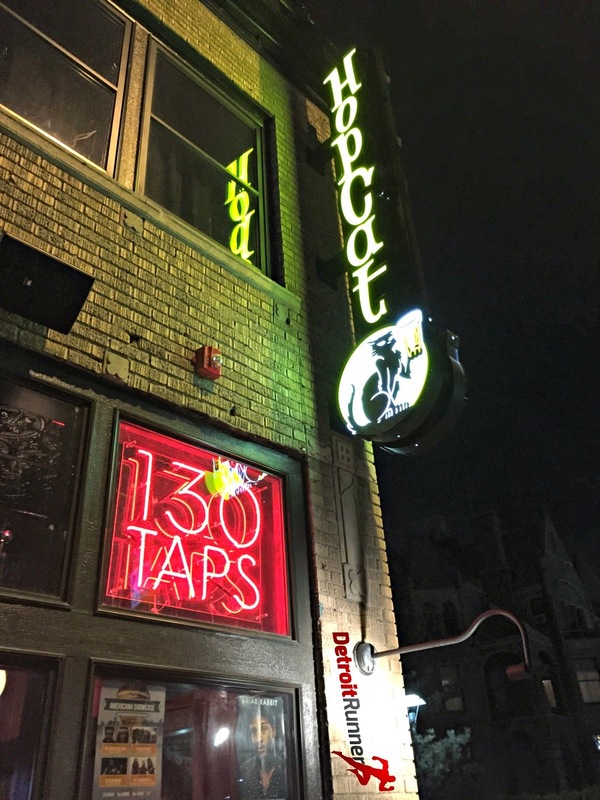 Hopcat has two floors and TONS of beers to choose from. We ended at RUNdetroit and then walked over to HopCat only a block away for some food and beer. It was the perfect area for a nice short run and a great time to meet some of the people in the club. I even had pins made up so everyone that finished(everyone that came) received a pin. If you are from Michigan or live in Michigan, feel free to join our group on Facebook, Michigan Running Club. Also, many thanks to Justin and Alia, owners of RUNdetroit for supporting the group and getting some prizes for giveaways! 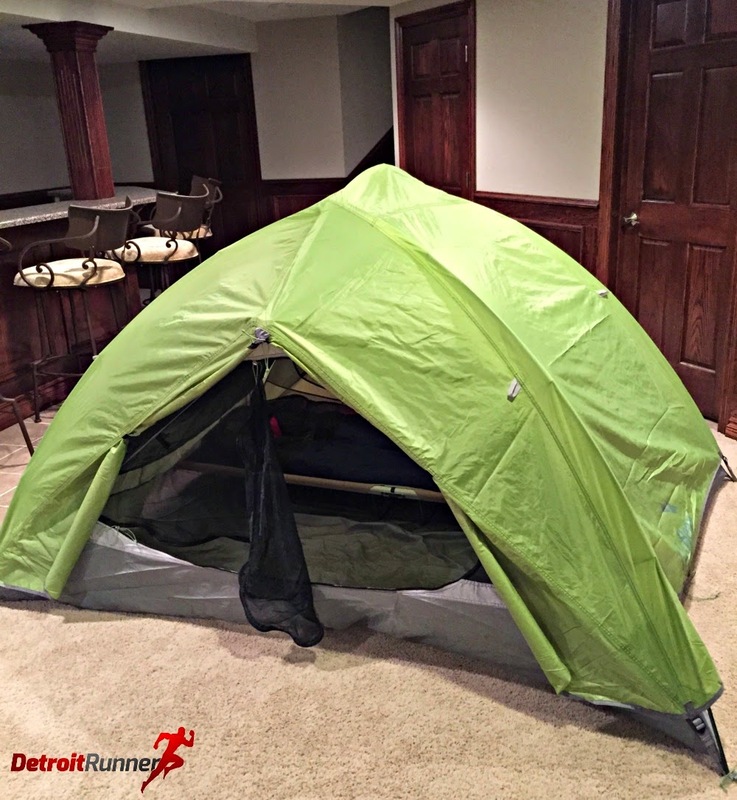 Just got my tent for the numerous Great Lakes Endurance trail races I'm doing in Northern Michigan! Woohoo! I was first introduced to Ibex, a company headquartered in Vermont, over three years ago when I reviewed their wool running shirt and underwear. 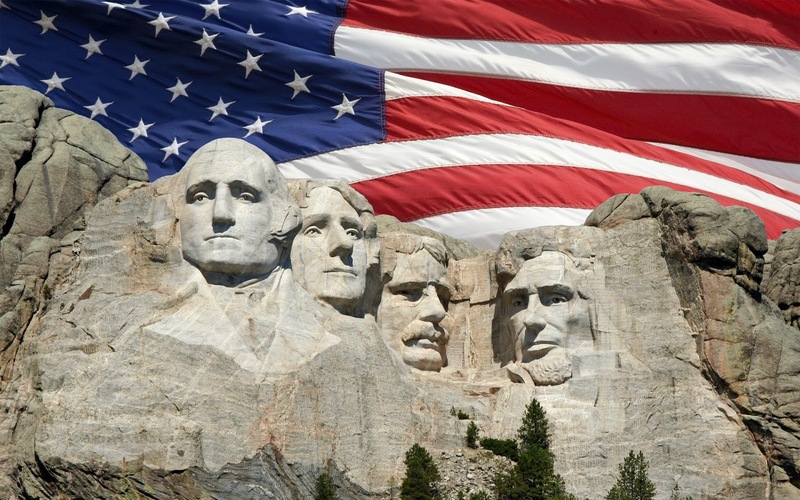 See reviews HERE. I will say that I've been very impressed with both of these items and still have and use them both, mostly for Winter running. Ibex has really high quality clothing and while they can be fairly high on the price, I've always found with running clothes, that you get what you pay for. Ibex is no exception! This is also the case for the Ibex Quick Link which I had great success with. I've done reviews on something similar to this with the Buff. There are some key differences in the Buff and the Quick Link -- not that it's bad or otherwise good. 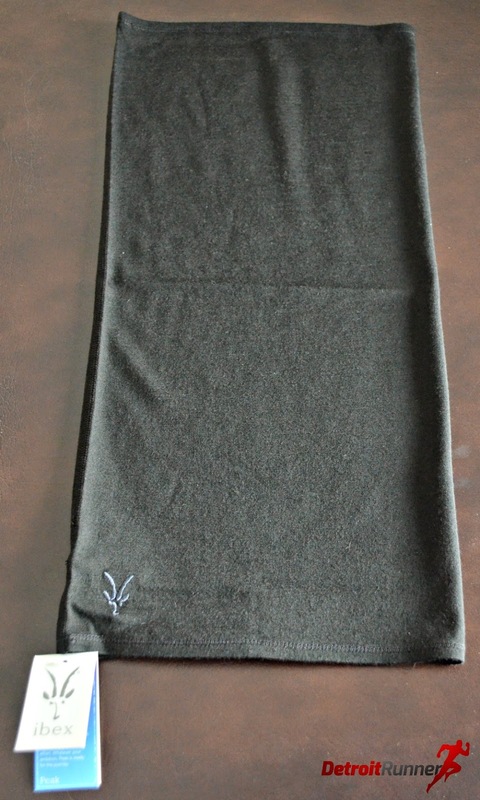 First, this is made with Merino wool making it SO COMFORTABLE! The wool is really nice. It not only keeps you warm, like it did for my run today with minus 10 degree windchill, it also keeps it's shape nicely. As you can see, there is plenty of material so that it can go over your nose and keep you nice and warm. It has the ability to be used as a neck warmer but also a hat or a Balaclava. I'm not a huge fan of the balaclava. I've always felt that it was too restrictive. With the Quick Link, however, it does not feel restrictive and it's very easy to breath through it. Being able to breath well with it over your face is, of course, a key factor for using it during Michigan Winters. The product is very well made with good stitching. I've washed it at least 10 times and it comes back looking like new again after it's washed. I do admit I was a little worried about the seam that runs the length of the Quick Link, however, it has not been an issue at all and I've run up to 13 miles with it. I do tend to put the seam at the back of me so that I'm sure I don't have any issue but again, it's not been a problem regardless. If you are looking for something to really help you through the hard Winters, for me personally, this is a must. It keeps you comfortable and allows you to run long in any temperatures. I usually pair it with a hat and place it over the back of my head to make it very easy to pull up and down at the front. This allows for easy access to my water bottle as I'm running. I could not run in the extreme temperatures without it. It retails for $30 on their website. Well done, Ibex, well done! Disclosure: I received a complimentary Ibex Quick Link in exchange for this review. All opinions are my own and I was not required to give a particular opinion other than an honest one. Well the big news for me this year in the world of trail running is that I'm running ALL of the Michigan Summer trail races that Great Lakes Endurance offers. I'm super stoked to run all these awesome events and I'll be sharing my experience with all of you before, during(assuming I can get online in the area of the races), and after each race. Great Lakes Endurance specializes in incredible Northern Michigan and Wisconsin area races all on the trails. I ran Waugoshance trail half last year and it was one of the best courses I've run. They also have numerous Snowshoe races and, frankly, if I were closer and not worried about weather, I'd run these as well. It looks like Northern Michigan has plenty of snow to run them. One of the great things about this company is that they really care about the environment so they take measures to limit the impact as much as possible. 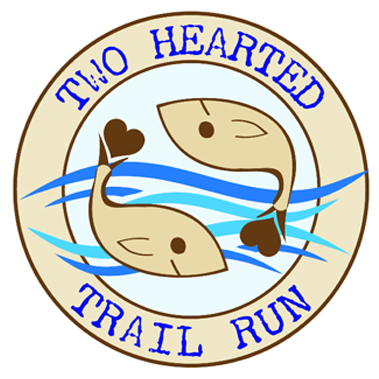 First up is the Two-Hearted Trail run on June 27 in Paradise, Michigan. 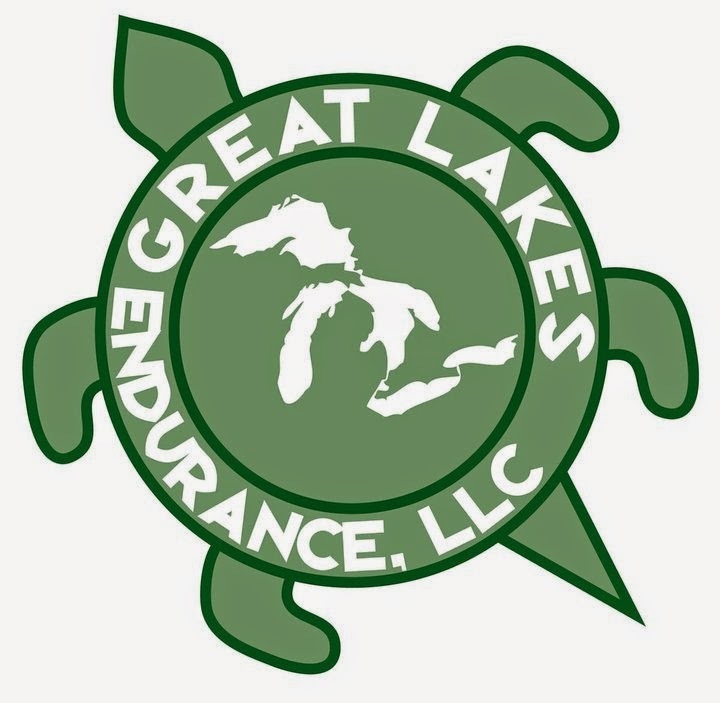 This is a brand new race for Great Lakes Endurance located in the Upper Peninsula of Michigan near Tahquamenon Falls. They are offering a 50k, marathon and half marathon. I've vacationed in this area and it's a super location for a race. Of course, we will be near the Two Hearted River. I may even need to bring some Bell's Two Hearted for after the race. Haha! I'll be camping near the Lower Tahquamenon Falls in the State Park. I'm so excited! 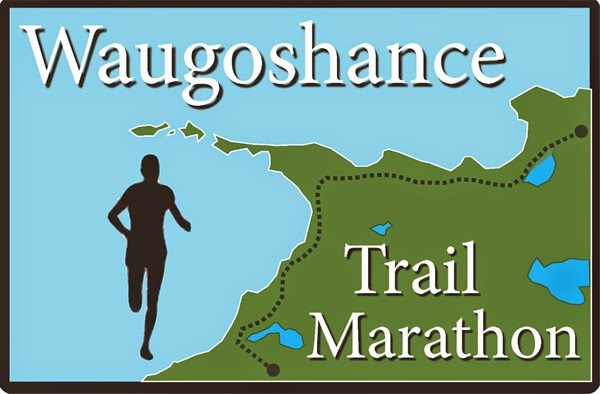 Two weeks later, next is the Waugoshance trail half which is located near Mackinaw City on July 11. As mentioned, I ran the half marathon last year and my buddy, Dave, ran the full marathon. It was an incredibly beautiful course and I can't wait to go back again this year. It had rained last year so was a little muddy but it made for such a fun course. You can read my full race review HERE. I will also be camping up in Mackinaw. This is ON the course for Waugoshance! Incredible beauty! Then, two weeks after Waugoshance, I'll be heading back to the U.P. 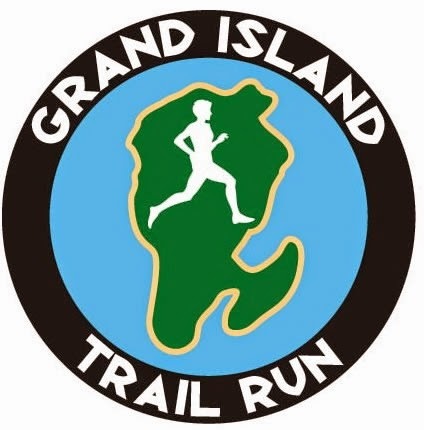 to run the Grand Island trail marathon. They are offering a half marathon and marathon. This is one of my big races this year and it's going to be an awesome weekend. I'll be running the full with both my running buddies, Kevin and Dave, and we will be camping up in Munising as well as staying at my cottage. We are all really excited to run this course. It will make for a really interesting day given we start with taking a ferry over to Grand Island where the race is located. How unique is that? Single track, two track and dirt roads will be on the agenda as well as a run on the beach. After the Grand Island trail full, only two weeks later, on August 8, I'll be traveling back to the Tahquamenon Falls area again for the Tahqua 25k. They also offer a 10k option. I have been thinking about running this race for the last several years but it never seemed to work out on my schedule. I've walked part of the trail when on vacation near the falls and loved the single track there. This will also be my first 25k race ever so I will get an instant PR. Again, I'll be camping in the area. Out of all the races I'm running this year, this is one I'm most looking forward to running. 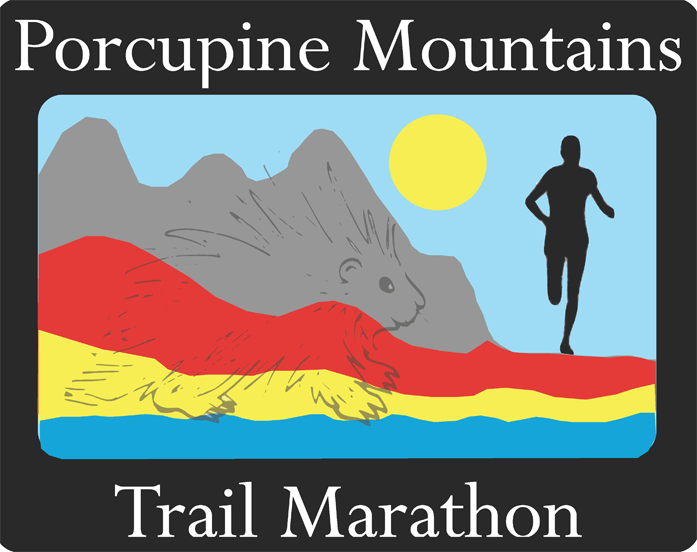 Finally, last but not least, I'll be running the Porcupine Mountains trail half on September 19th. I've never been to the Porcupine Mountains and from pictures I've seen, I'm in for a real treat. This is located WAY up in Northern Michigan in Silver City. It also will likely be peak Fall colors in the area too so I can't wait to bring my camera along for the trip on this one and share pictures with you. So the plan is to write a race review on each of these races and share my experiences with you. Four of the five races are new to me which is always exciting to run a new course. Another new experience for me before all of these races is tent camping. It's never been in my comfort zone so I'm going outside it to experience a whole different level of race weekends. As you know, my race reviews are pretty details and have lots of pictures. Hopefully some of you can join me for some of the races, but if not, I'll be sure to have my usual detailed review so it will feel like you are there. If you think you might be running some of these, e-mail me and let me know so we can say hello and perhaps share a beer together. At this time, I'll be going alone for four of the races so I'd love the company. Either way, I look forward to sharing everything with you over the coming season. Go to the Great Lakes Endurance Facebook page. They say running is not an expensive sport, however, in Winter, it requires much more of the correct gear and clothing to run comfortably all year. Of course, not everything above is required but there are things that help keep you warmer and less wet. Wool socks - I prefer wool as the temperatures dip. These socks are made by Swiftwick. I got them at RUNdetroit. They are so warm and don't give me blisters. I also wear Swiftwick's regular running socks all year. Running tights and pants - 98% of the time I just wear running tights and all of the ones I have are made by Under Armour. I also double up when it gets below zero but it's rare. I have a cheap pair of Fila running pants for a second layer when needed. Running underwear - yeah, I wear specific running underwear by Under Armour. They are well made and last a long time. They are comfortable and I don't chafe with them. They are worth the money in my opinion. Compression shorts - I wear these all year. I like the compression and it helps keep my form. Again, I use Under Armour for these too. 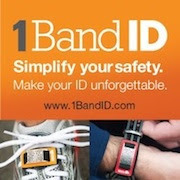 Lots of people don't wear or need them but they help me. Running Winter Hats - I use a beanie style hat 95% of the time. The blue one is by Headsweats. The black one is also by Headsweats and has a brim and ear covers. It's really nice in the Winter when it's really snowing hard. I also love Nike's beanies which fit nicely over your ears. Buff - The Buff is a must, in my opinion. They can be worn lots of different ways and really help keep your face warm and you can still breath through them without feeling like you are going to die! haha! Running gloves/mittens - most of the time I wear a pair of convertible gloves that turn into mittens made by Manzella. They are the warmest mittens I own and are the only ones that keep my hands warm enough. Of course, if the weather is warmer, just gloves are nice as well. Running shirts - I usually wear a baselayer made by Nike. These mock turtlenecks are so comfortable and really last a long time. I've had two of them over five years and they are still going strong. They are, however, expensive! I got mine on sale for $50 and I have not seen them for less. I've seen these up to $80 which sounds crazy but they work really well for me. I also have a wool shirt by Ibex that is incredibly warm. I don't wear it all the time because I get too warm with it but this is a valuable item to have as the temperatures drop. I'll also have a review on their Indie Quick Link on the blog soon which is similar to the Buff. 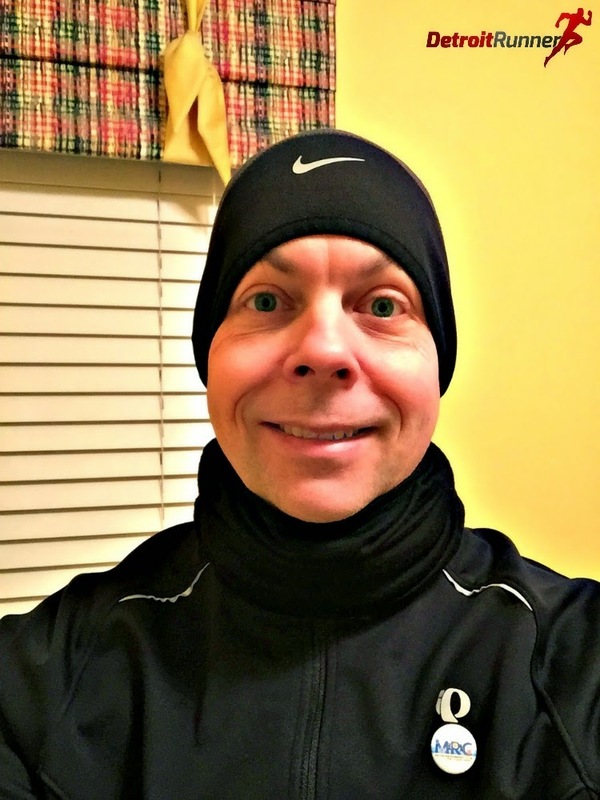 Running Jacket - I use a Pearl Izumi Infinity Windblocking jacket. I love this Winter jacket because it's great for temperatures below 30 degrees. I also have a NorthFace jacket that I use when it's a little warmer outside. NorthFace has some new jackets that look incredible but jeez are they expensive! Running safety - I use the Noxgear Tracer 360 and also a Petzl headlamp. I also have another headlamp made by Black Diamond that has even more power for the dark trails. Unfortunately, in Winter, I run in the dark during the week so these are a must! Garmin - shown is the 301xt, however, I'm running with the Garmin 220 at the present time. I have a love/hate relationship with Garmin. I love their watches but they are like cell phones. You usually need one every few years. Well, I guess "need" is all relative. Nobody needs these. So there you have it, my Winter running arsenal. There's about a $1,000 in this picture. Who said running was a cheap sport? Some of the products I received in exchange for a review. All reviews can be viewed HERE.